Comfortable two queen beds non-smoking distability accessible room. Comes with microwave, refrigerator, complimentary high-speed internet access, remote control TV with premium channels, work desk, complimentary newspaper, and more. 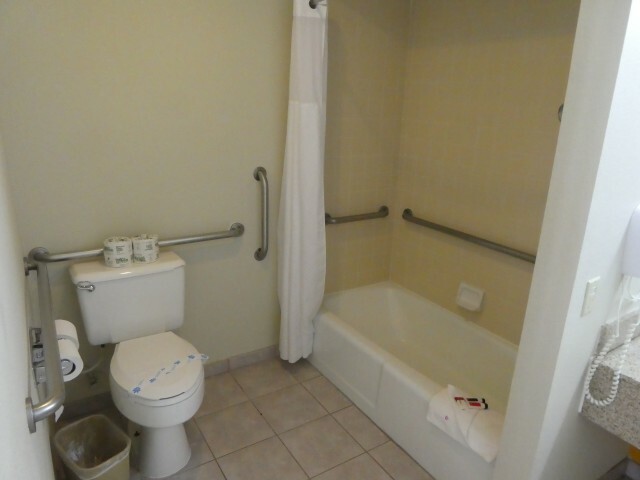 This room features ADA compliant features such as grab bars in bathroom, wheelchair accessibility.